Warner Bros. launches its next DC Extended Universe (DCEU) film Wonder Woman in theaters exactly two weeks from today, and now it has finally screened for the nation's critics. While there was a social media embargo after the screenings last week, it was lifted last night, and the early reactions are immensely positive. Which could very well mean that Wonder Woman is the savior that the DCEU needs quite badly, after critical bombs like Batman v Superman: Dawn of Justice and Suicide Squad. While the full reviews are under embargo until a later date, we have assembled a number of these early reactions below. The Twitter embargo seemingly broke at 7 PM PT last night, which is when the first of these reactions started to pour in. Many critics claim it is easily the best that the DCEU has had to offer yet, with one critic, Silas Lesnick, even claiming that it is the best DC film since 2008's The Dark Knight. Almost all of the assembled critics singled out Gal Gadot's performance as Diana of Themyscira, while others praised the chemistry she has with co-star Chris Pine, who plays her love interest Steve Trevor. Fans may recall there were similar early reactions for Batman v Superman: Dawn of Justice, but that was for a fan screening, while critics later tore that movie apart. Fans may recall that, back in January, an unconfirmed report claimed that this Wonder Woman movie was in trouble, with insiders who saw an early cut of the movie calling it "discombobulated". The same source claimed that Batman v Superman: Dawn of Justice was not looking good from similar early screenings. 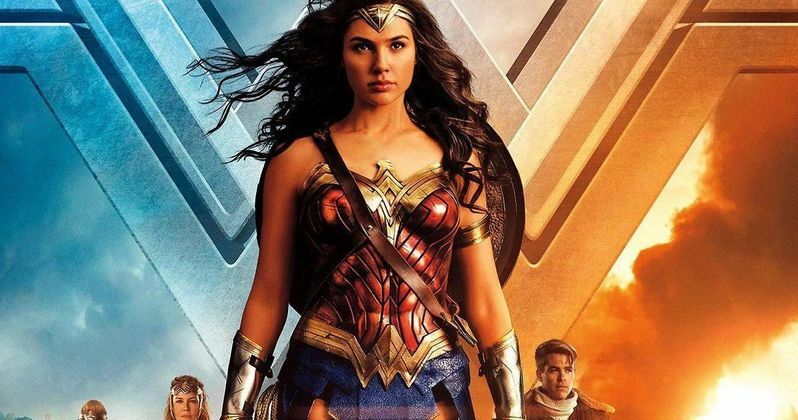 The unnamed source went onto say that Wonder Woman suffered from the same problems that its predecessors Batman v Superman: Dawn of Justice and Suicide Squad suffered from, but that doesn't seem to be the case now, with these critics praising the movie for its sense of humor and chemistry between Gal Gadot and Chris Pine. While these Wonder Woman early reactions are certainly something to build on for Warner Bros., it still remains to be seen how fans will respond. Early Wonder Woman box office projections have been inconsistent at best, with most analysts predicting a debut between $65 million to $80 million, while others claimed it could reach as high as $105 million. These reactions certainly seem to indicate a strong critical groundswell for the movie, which could push its opening weekend even higher. Neither Batman v Superman: Dawn of Justice (28% on Rotten Tomatoes) nor Suicide Squad (25% on Rotten Tomatoes) had the benefit of a strong critical groundswell, and yet they both opened huge at the box office. Batman v Superman posted a $166.1 million debut last March, while Suicide Squad opened to $133.6 million. Before she was Wonder Woman (Gal Gadot), she was Diana, princess of the Amazons, trained to be an unconquerable warrior. Raised on a sheltered island paradise, Diana meets an American pilot (Chris Pine) who tells her about the massive conflict that's raging in the outside world. Convinced that she can stop the threat, Diana leaves her home for the first time. Fighting alongside men in a war to end all wars, she finally discovers her full powers and true destiny. The supporting cast for Wonder Woman also includes Danny Huston, Ewen Bremner, Robin Wright, David Thewlis, Elena Anaya, Lucy Davis, Said Taghmaoui and Connie Nielsen. Patty Jenkins directs from a script by Allan Heinberg, based on a story created by Patty Jenkins, Zack Snyder and Jason Fuchs, based on the character created by William Moulton. Take a look at the early Twitter reactions for Wonder Woman below. #WonderWoman is fun, optimistic and inspiring – and, frankly, the fantastic female-led superhero movie I have been waiting AGES for. My reaction to @WonderWomanFilm : exciting, powerful, bold, epic, simply wonderful and - best of all - absolutely empowering. Smart, funny, romantic, genuinely moving. And incredible, all-female fight scenes! The Amazons' battle made me cry happy tears. 3. Rough parts? Sure. But guys, guys, YOU GUYS! You'll truly LAUGH. And you'll walk out, for once, feeling downright inspired by a DC movie. Was expecting to hate the relationship stuff, loved it. The fish out of water dynamic between Gadot and Pine make this film shine. #WonderWoman has some of the coolest, most insanely well-performed, and badass fight scenes ever; singularly choreographed + shot. And fun!